 April 13, 2018 | Advertising Disclosure | Our Sponsors may be mentioned in this article. 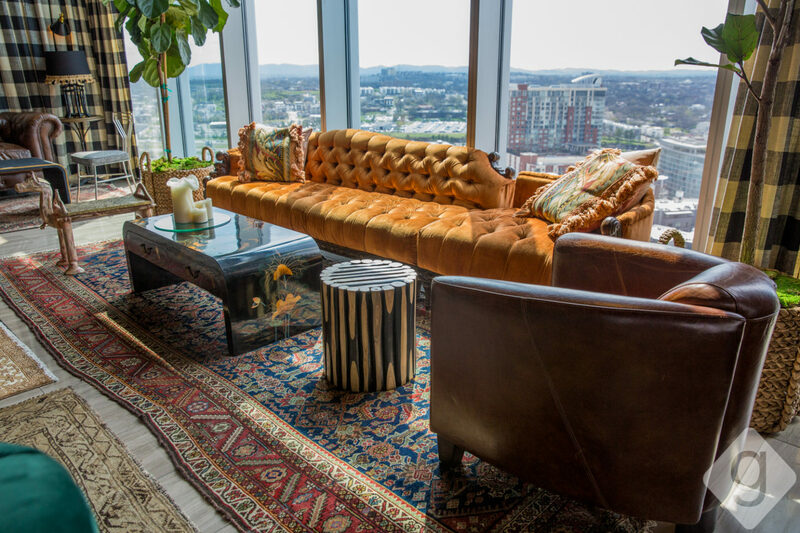 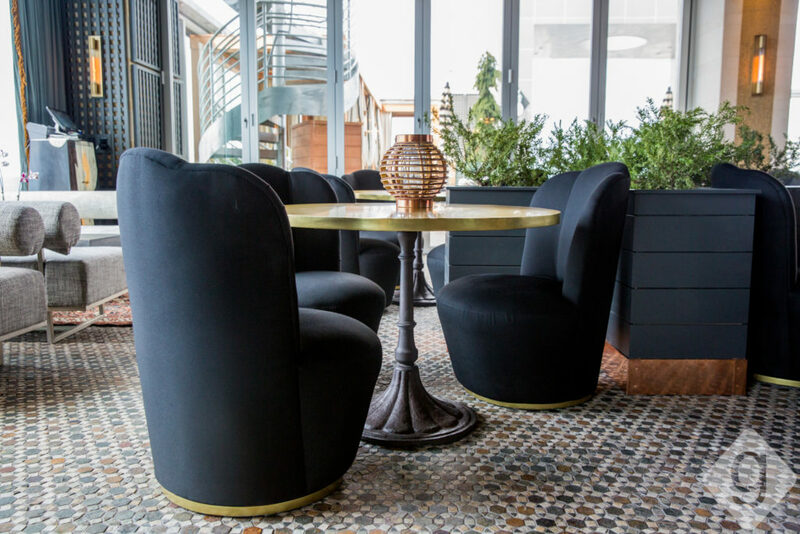 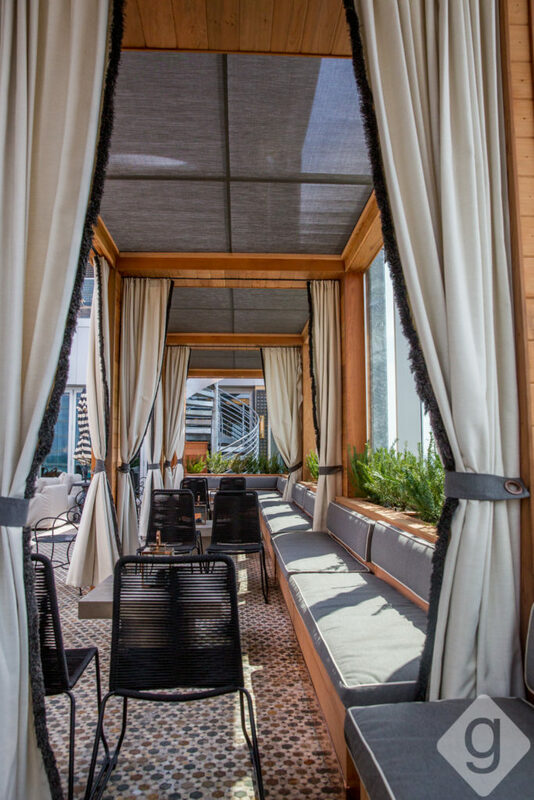 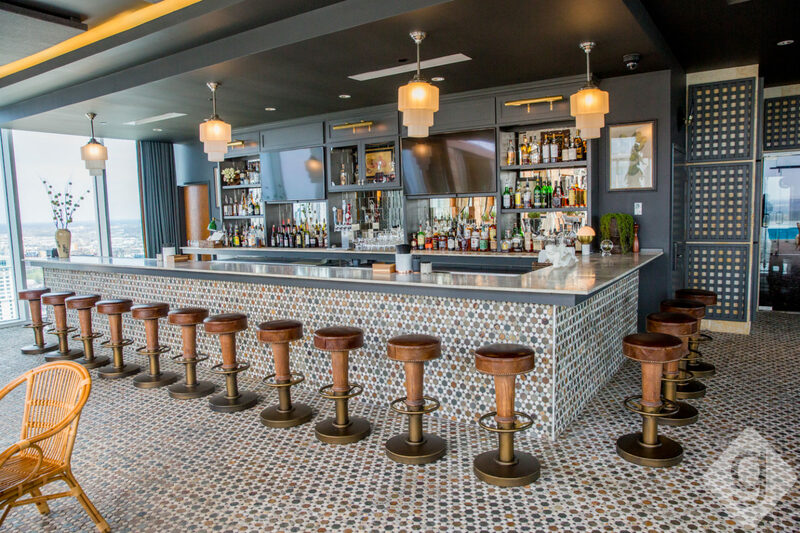 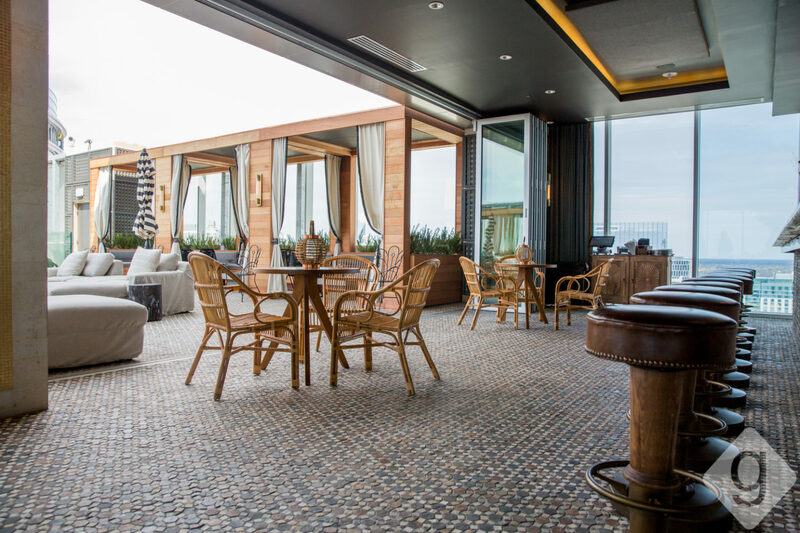 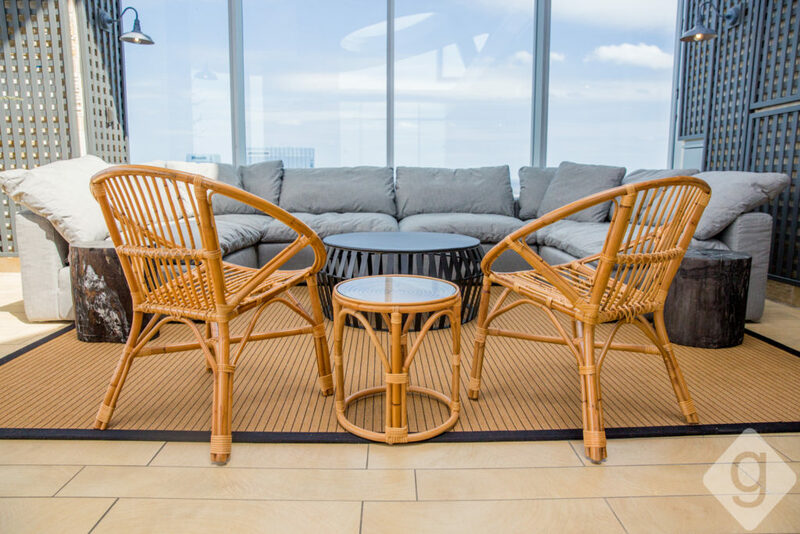 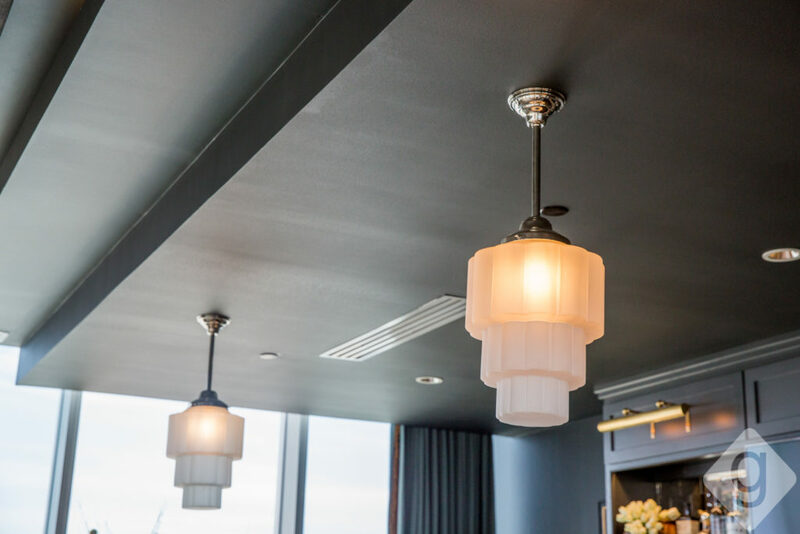 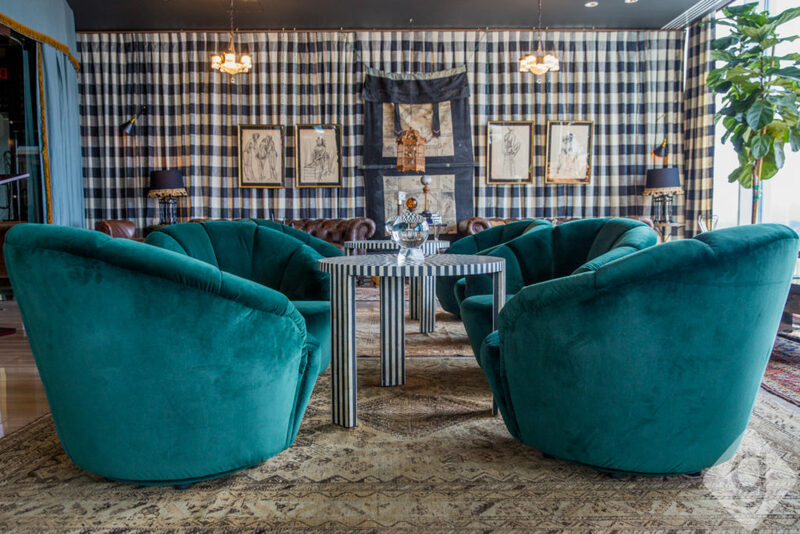 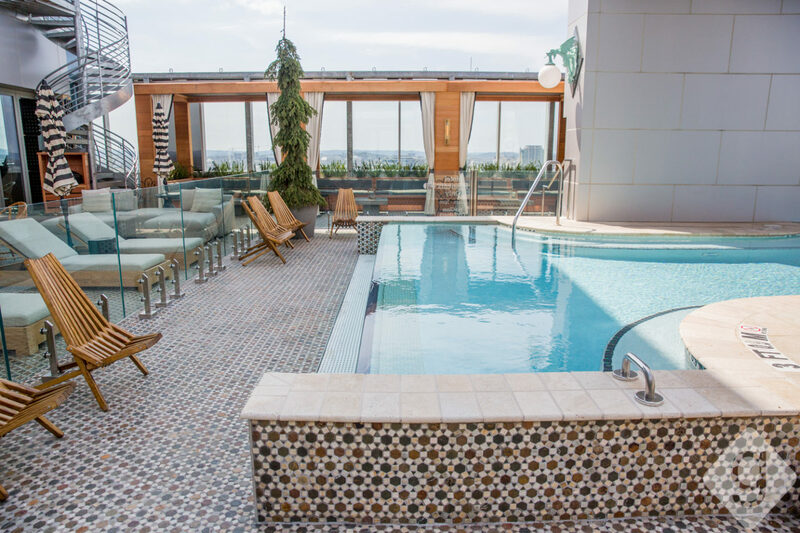 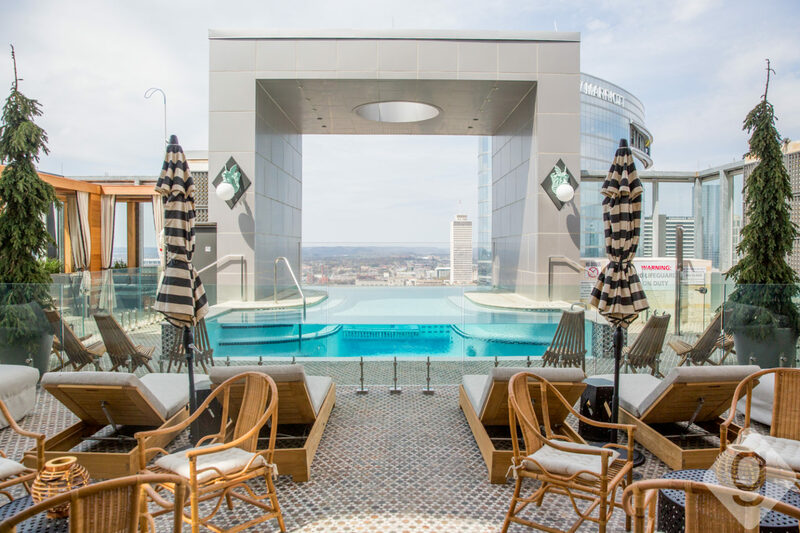 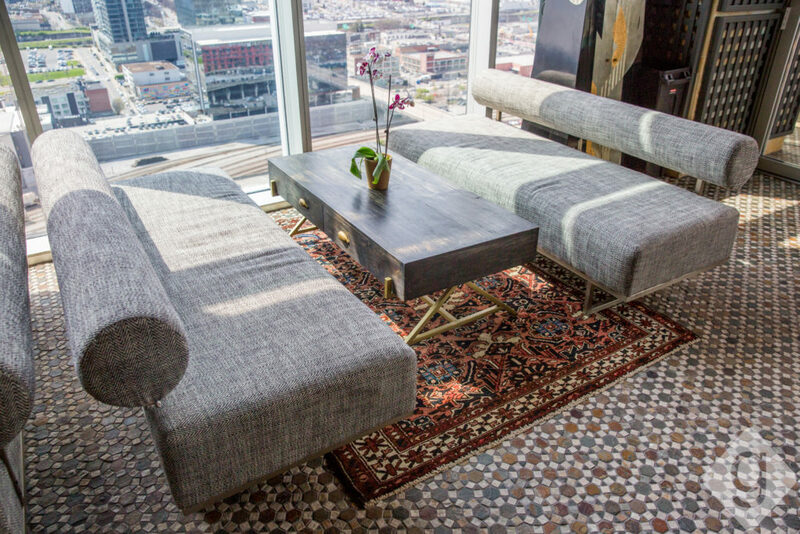 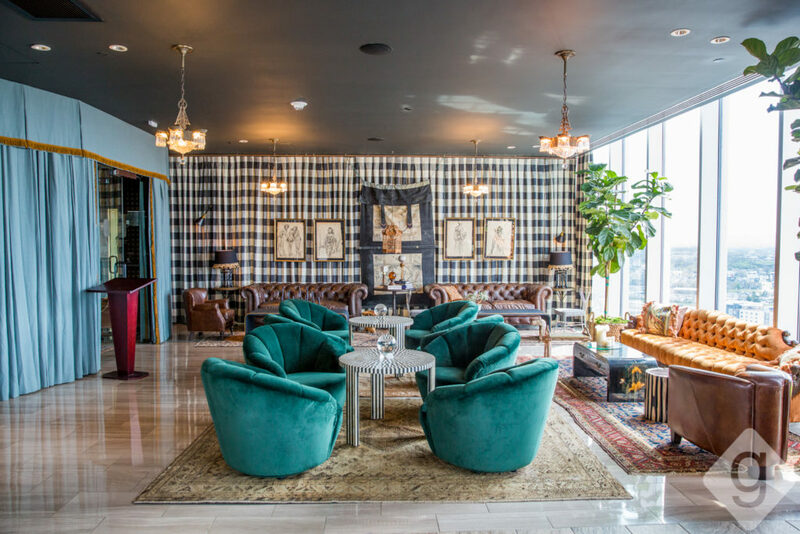 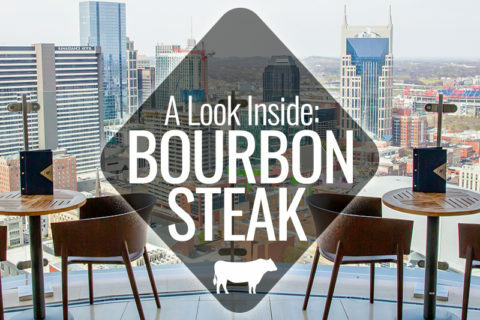 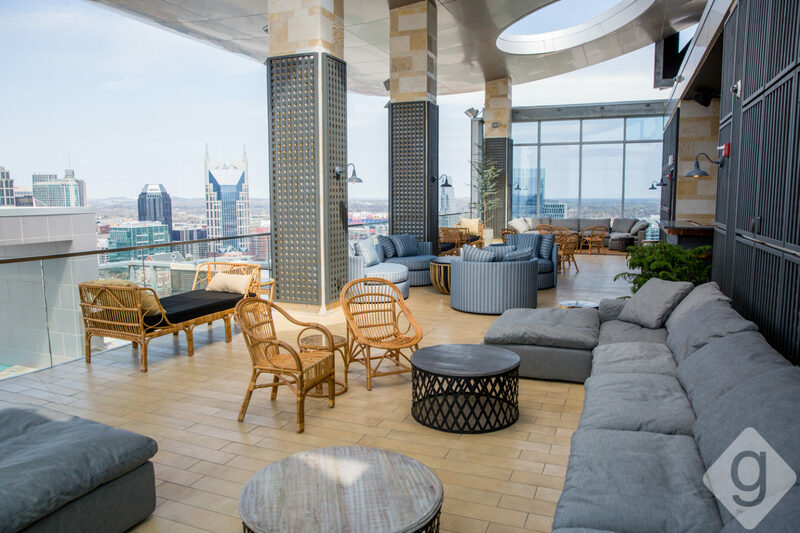 L27 Rooftop Lounge, located on the 27th floor of The Westin Nashville, has a new and refined look. 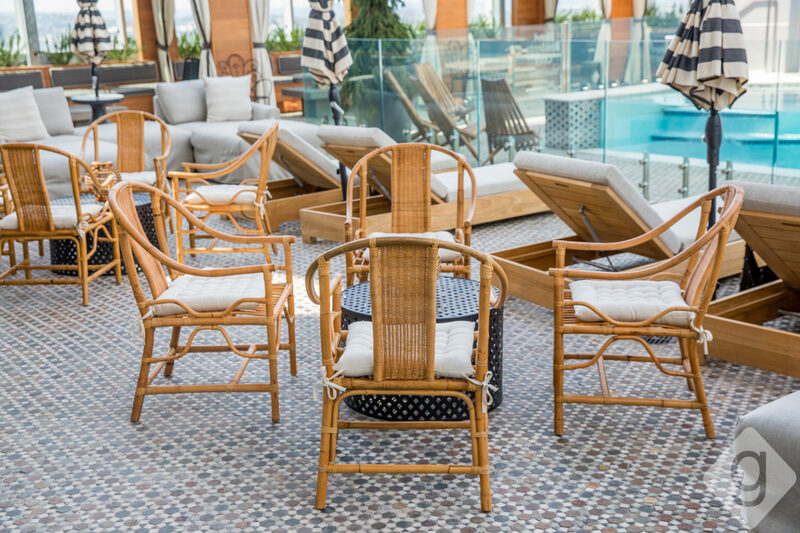 Louisa Pierce and Emily Ward of Pierce & Ward reimagined the space, completely revamping the interior and poolside terrace. 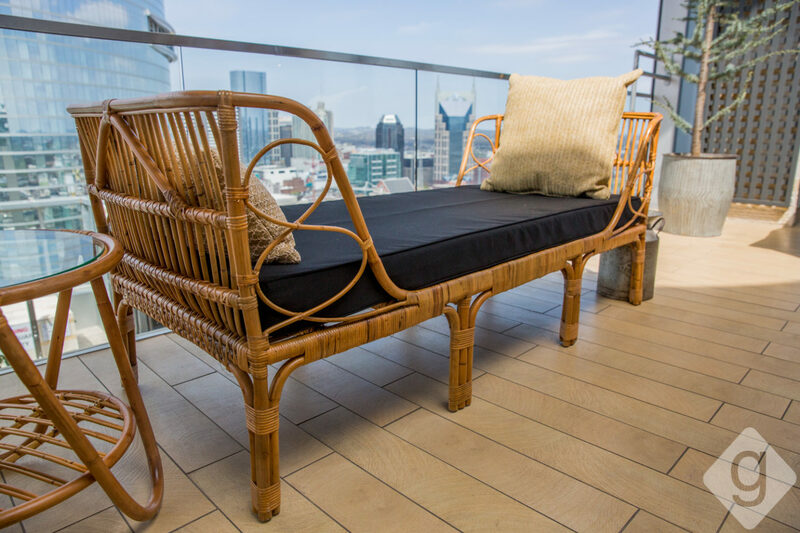 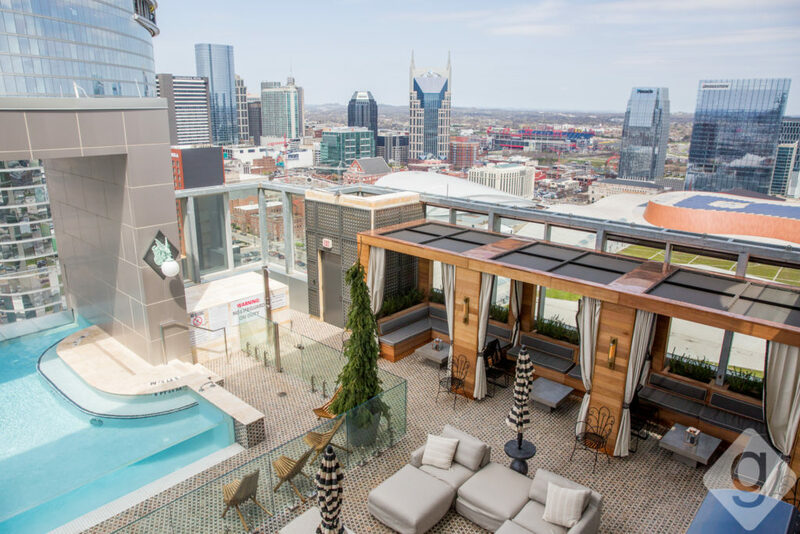 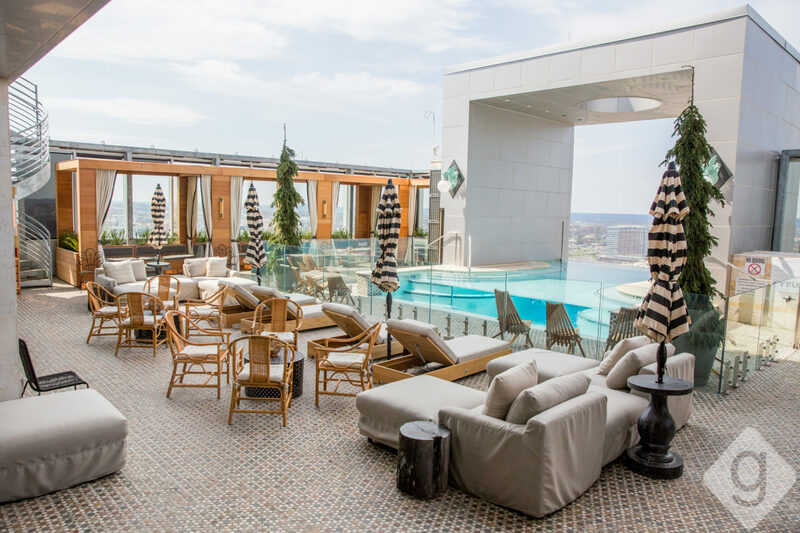 L27, which originally opened on November 1, 2016, remains Nashville’s highest rooftop lounge with sweeping skyline views. 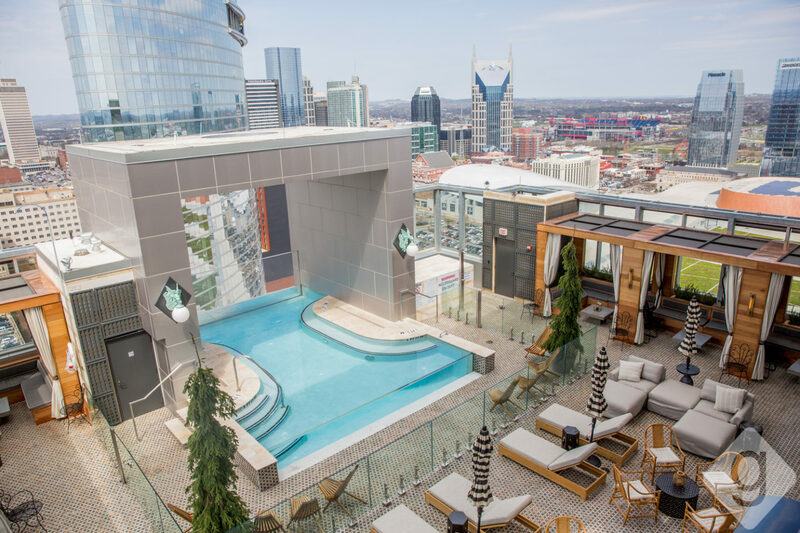 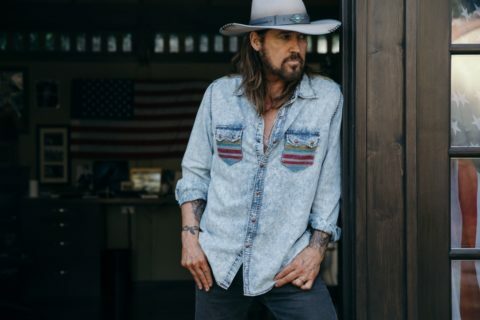 Nashville Guru got a look inside the remodel. L27 offers an elegant poolside experience with breathtaking views. 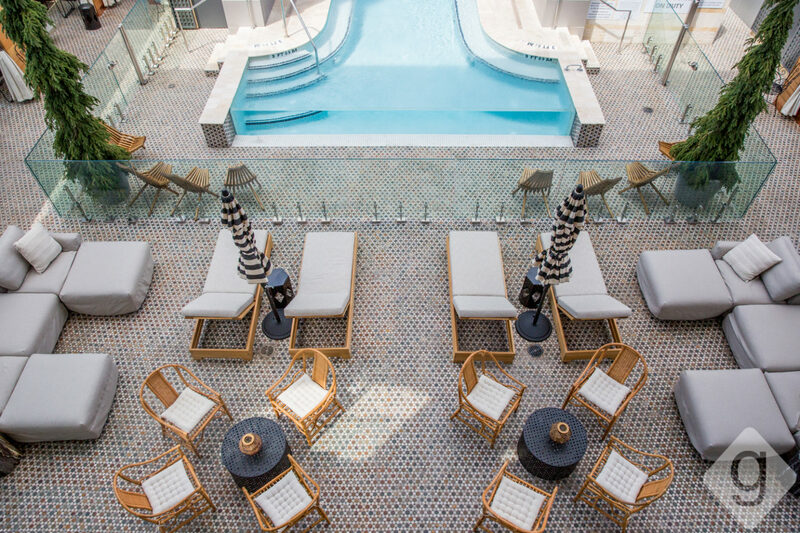 There’s a glass-enclosed dipping pool surrounded by daybeds and loungers, permanent cabanas with greenery and booth seating, and a couple tables and chairs for easy conversation over cocktails and bites. 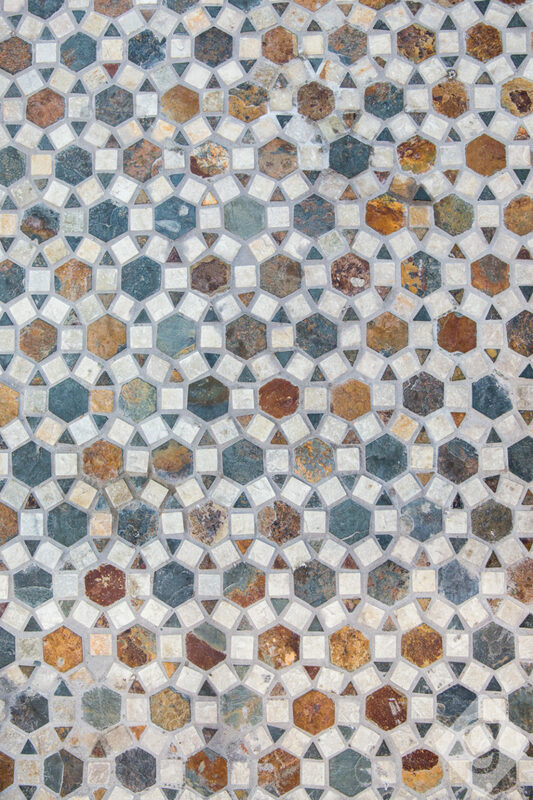 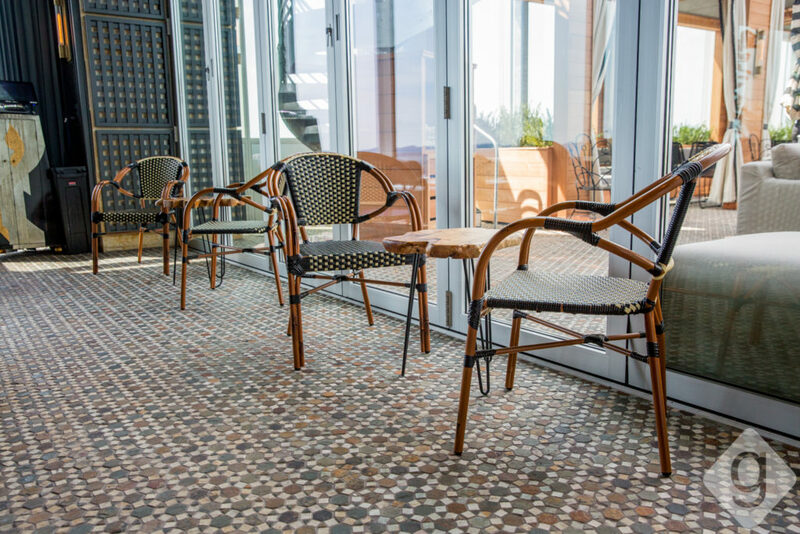 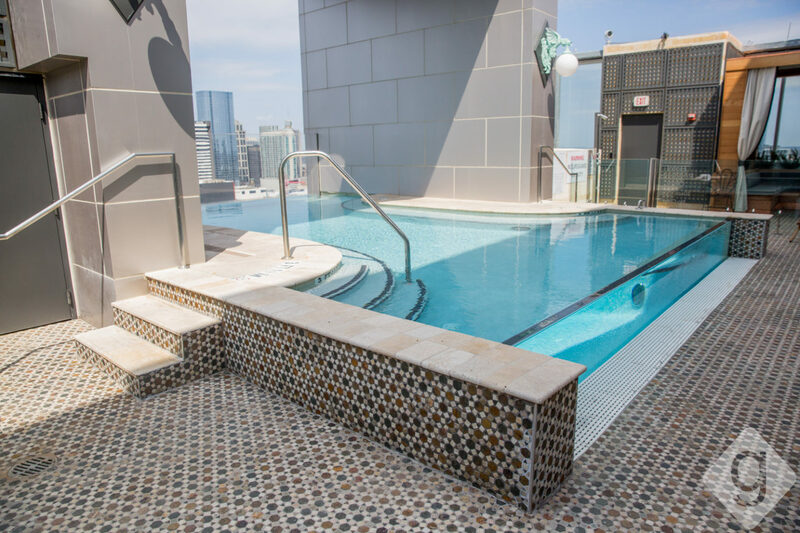 Colorful mosaic tile flooring unites the interior and exterior. 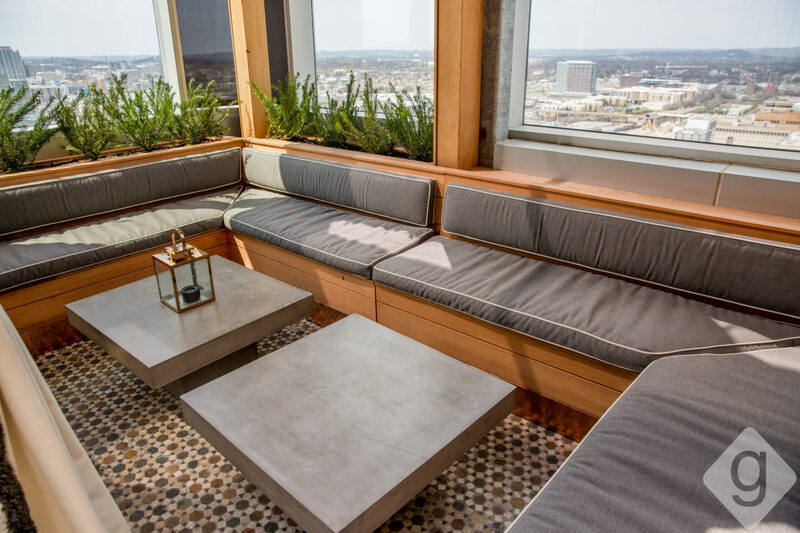 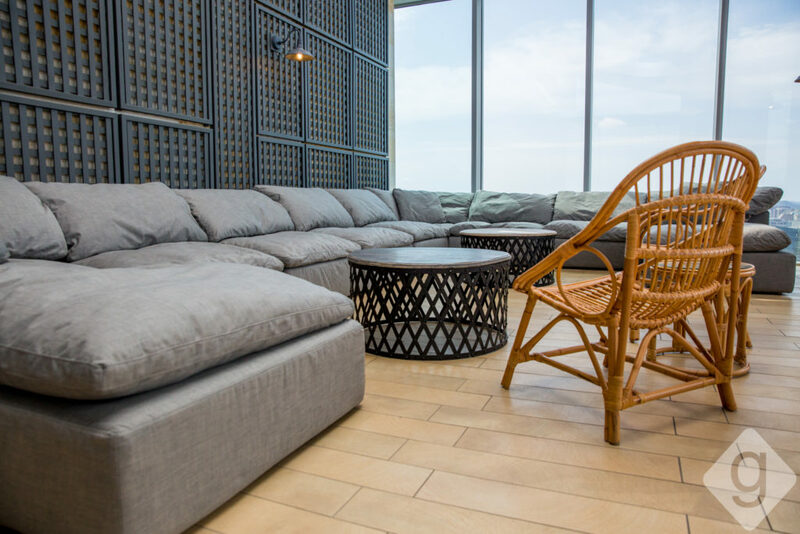 A stairwell leads up to the intimate 28th floor, where guests can get even better views of the city and relax on cushiony couches. 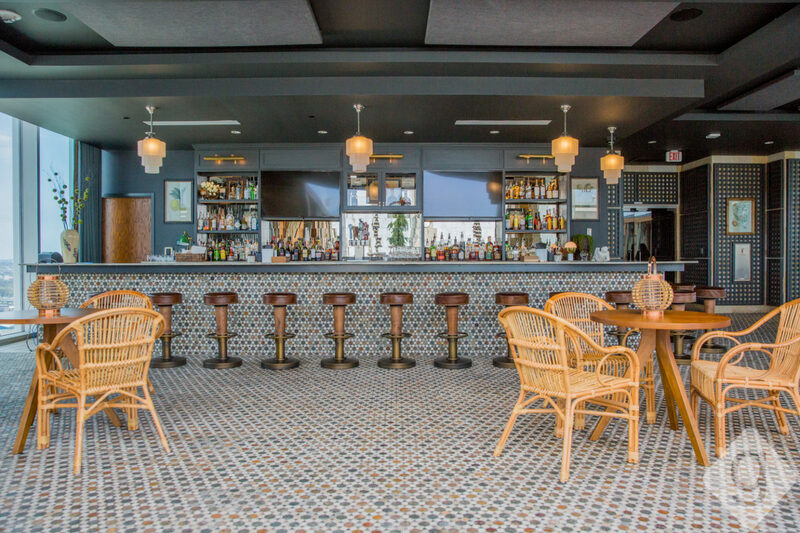 The lounge and bar incorporate Asian fusion decor. 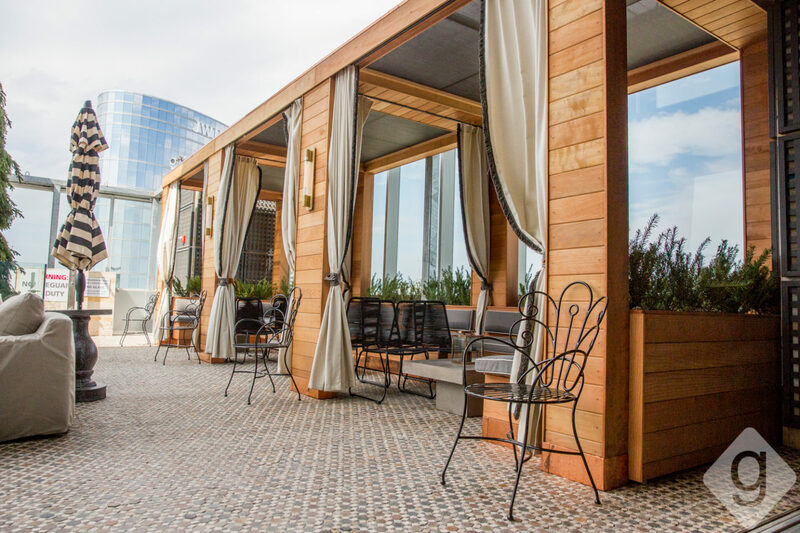 There’s a large square-shaped bar with a glass sliding wall that opens to the exterior patio when the weather permits. 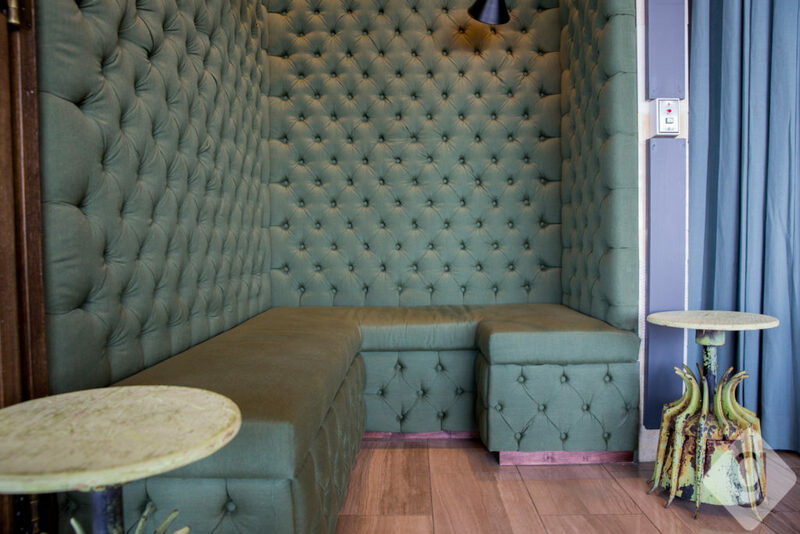 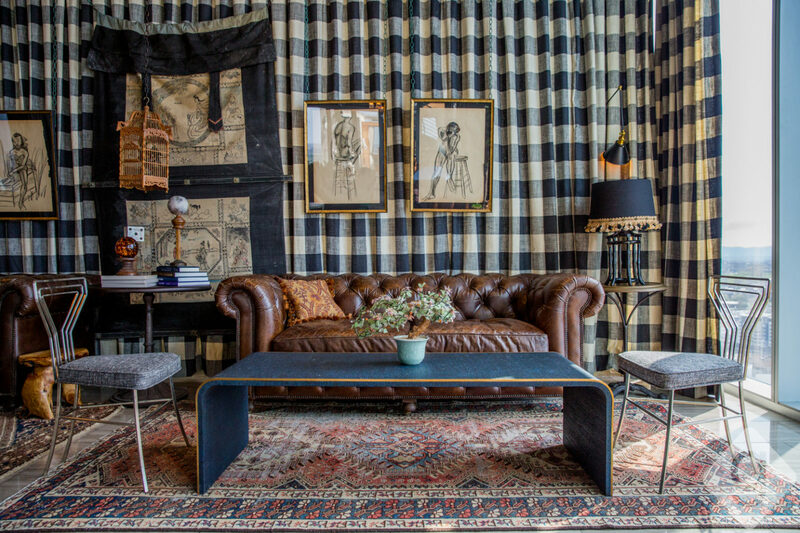 Seating options range from velvet couches to leather banquettes to wooden chairs. 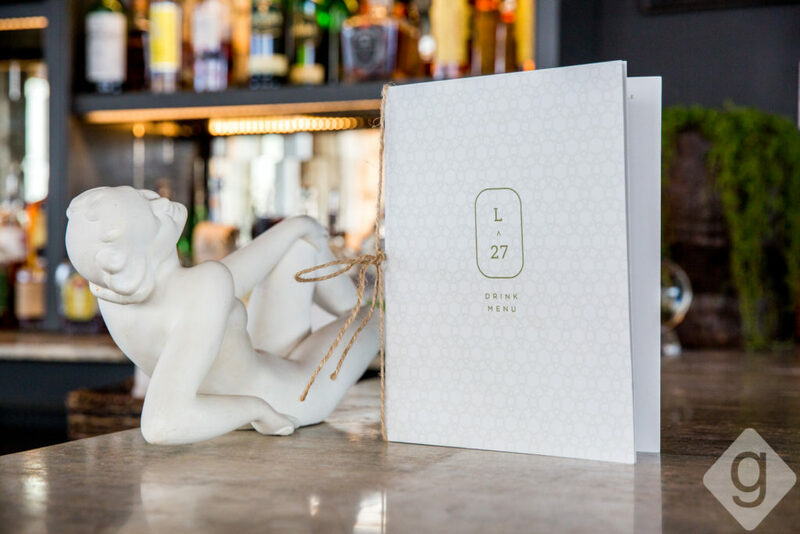 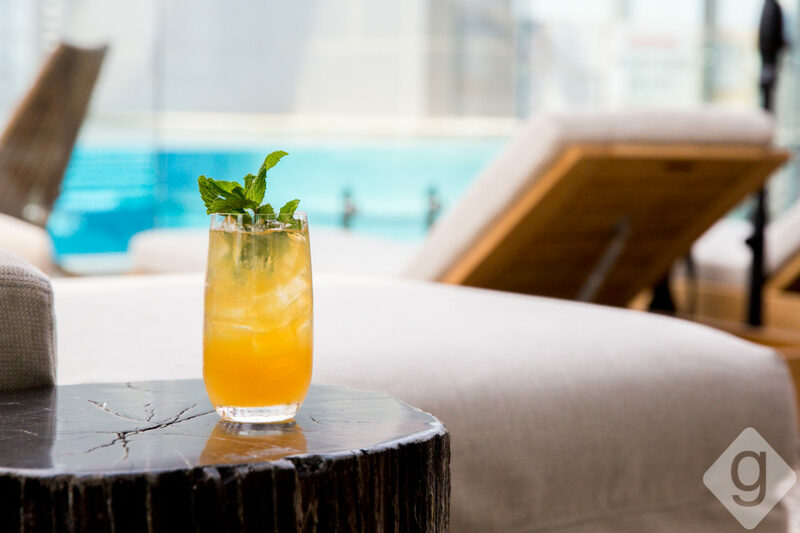 L27’s beverage program offers fresh cocktail options like the Cucumber Lemon Julep, Prosecco Pop (a prosecco-dipped popsicle), and the jalapeno-infused Bee Sting. 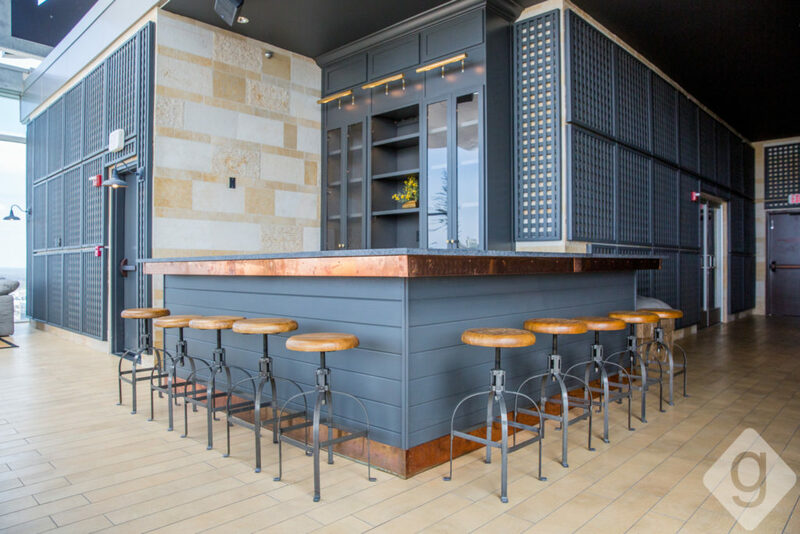 They also have a list of beers (including four on draft), wines, and spirits. 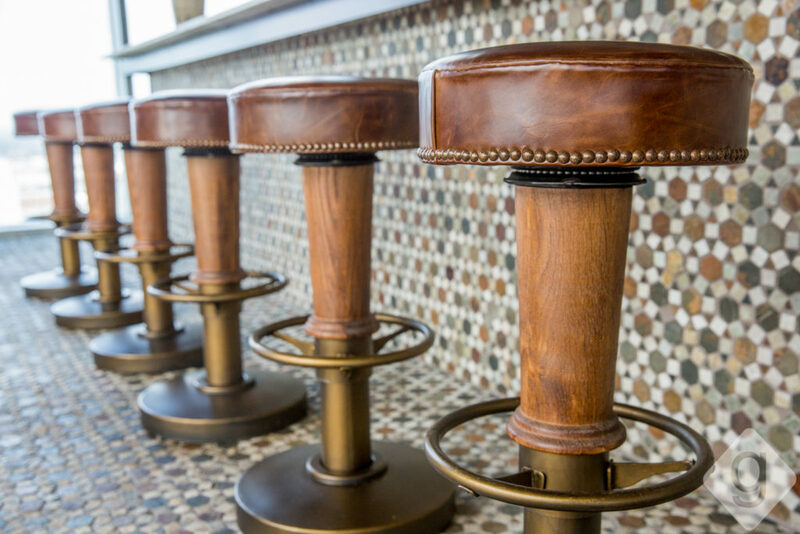 While L27 functions primarily as a bar and lounge, you can easily enjoy a full dinner here, too. 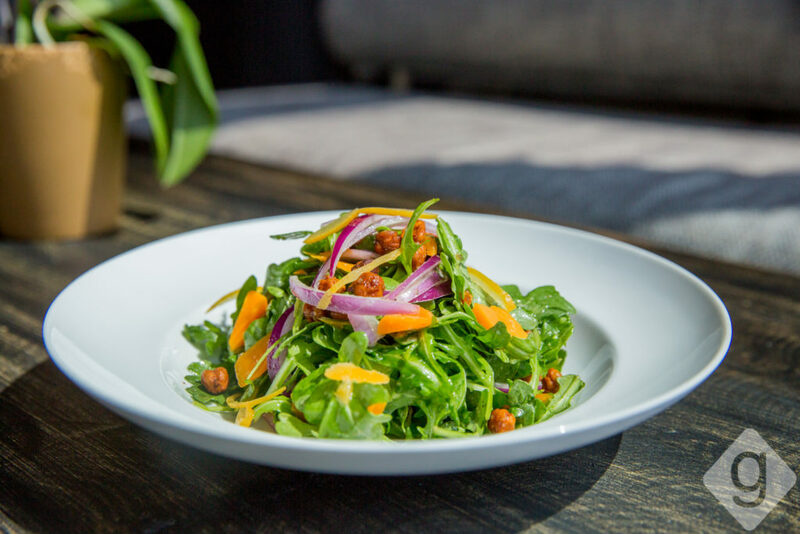 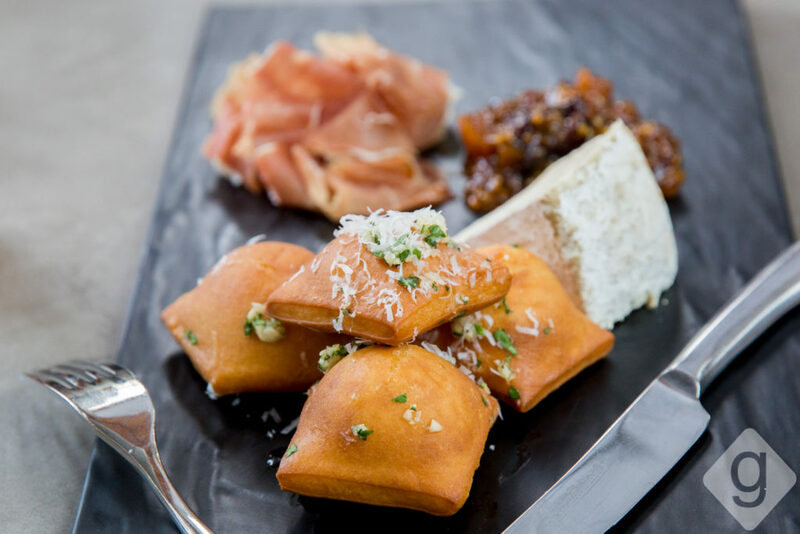 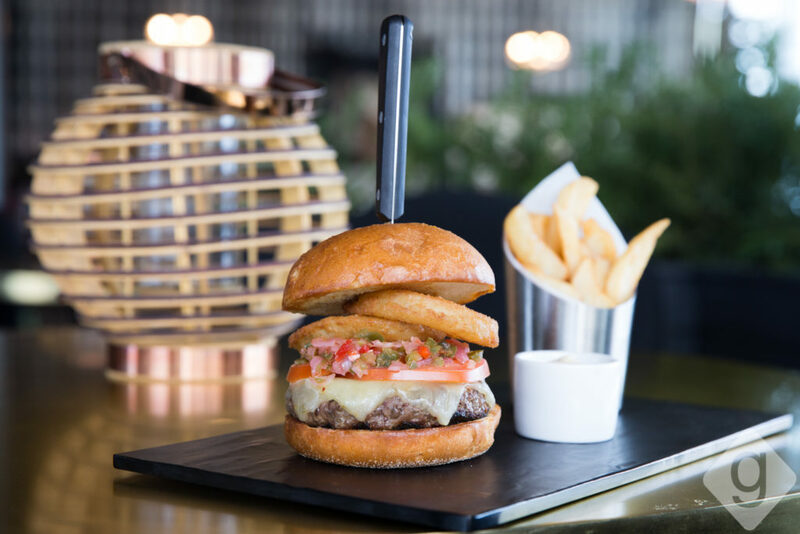 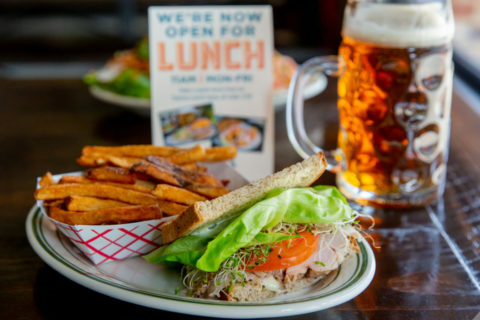 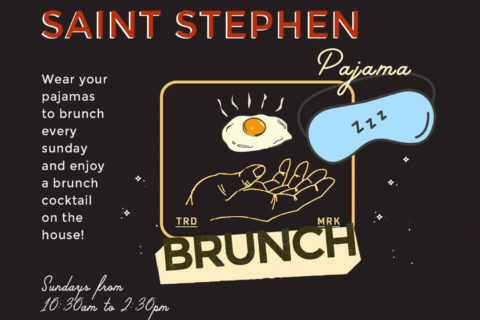 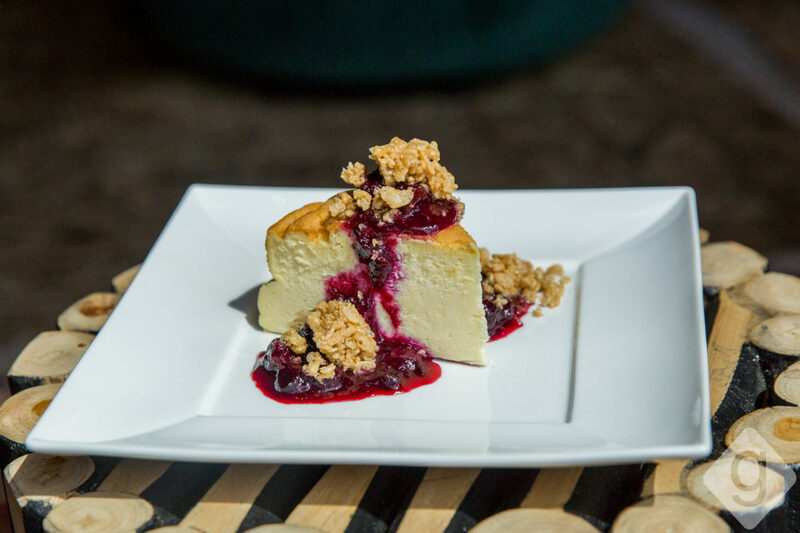 The food menu includes everything from bar bites like fried olives to large plates like the Steak Knife Burger. 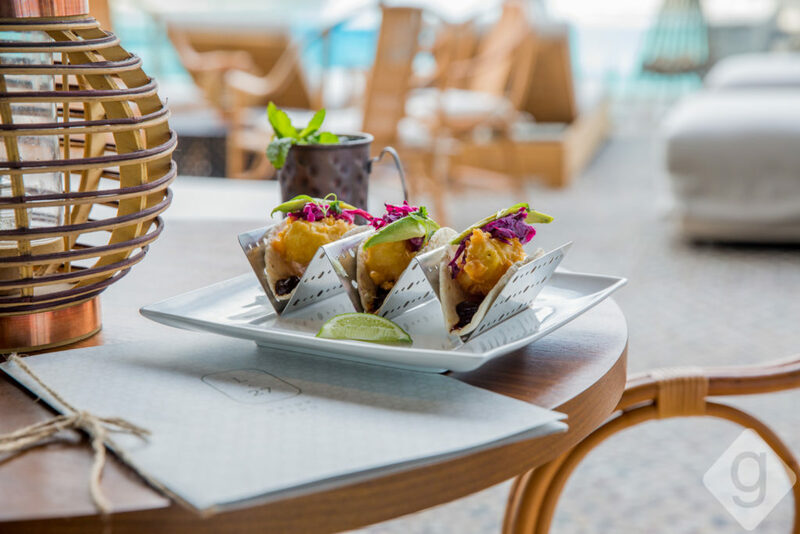 New shareable plates include lobster rolls and crispy calamari. 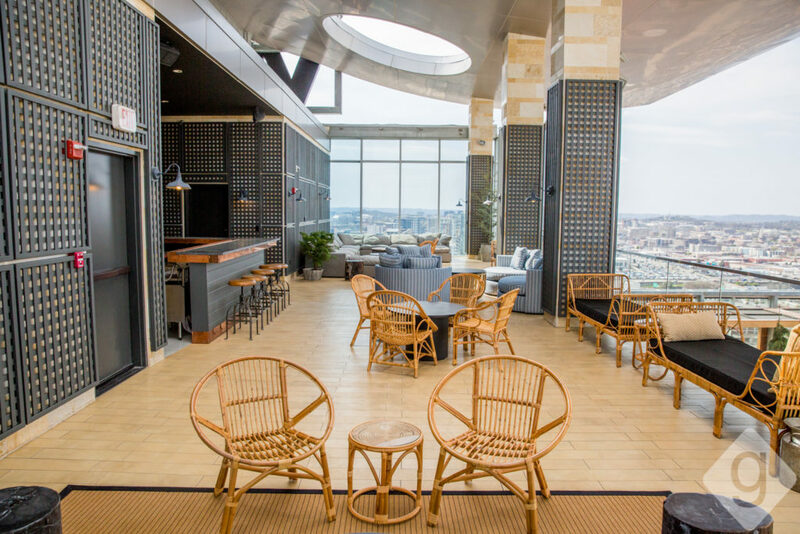 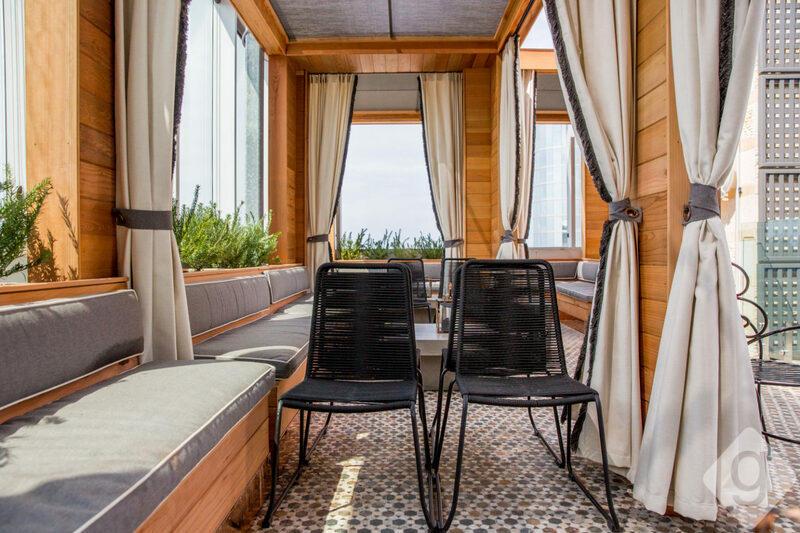 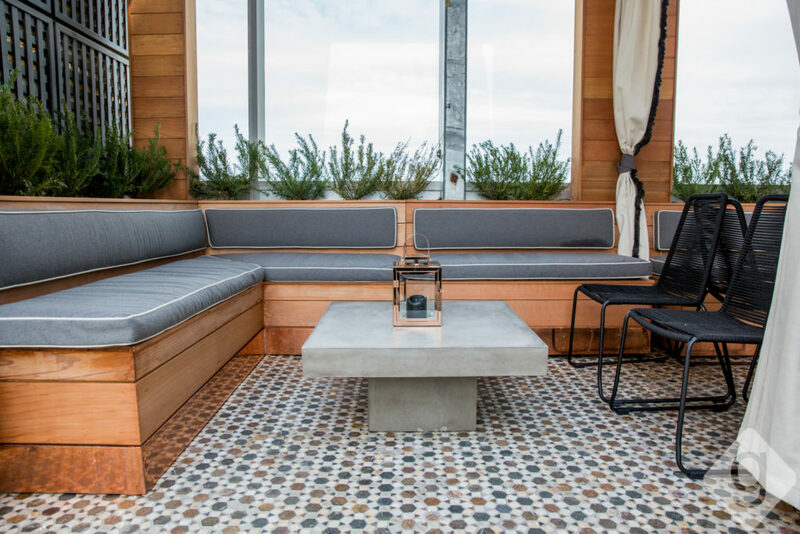 Stop by this newly designed rooftop for cocktails, bites, and skyline selfies.